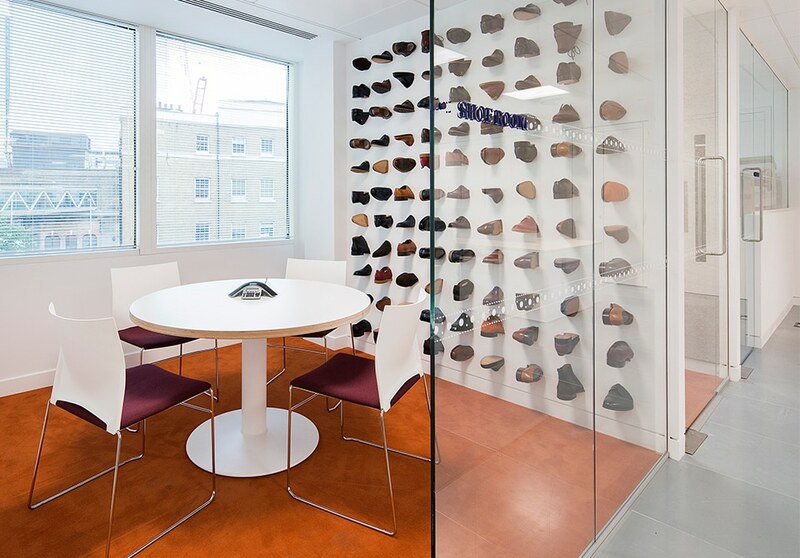 Artemis Interiors is a London-based company specialising in corporate interiors. 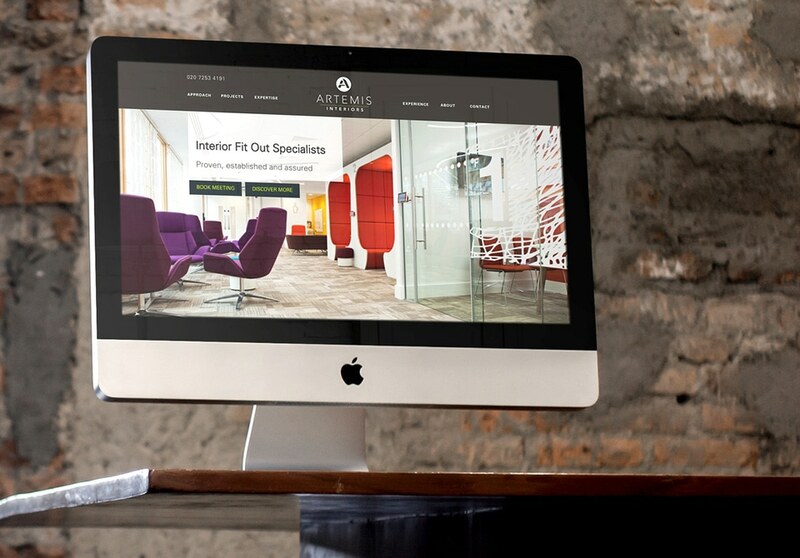 Having designed and built the previous website, Preface Studios won a rebuild pitch to represent the company’s growth. We built a lead-generation focused site to showcase the portfolio with superb UX and UI. 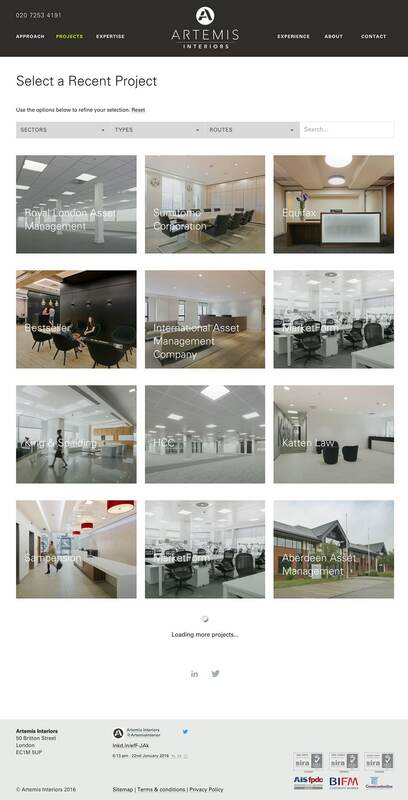 The project involved new content architecture, website restructuring, wireframes, copy refresh, design and build. 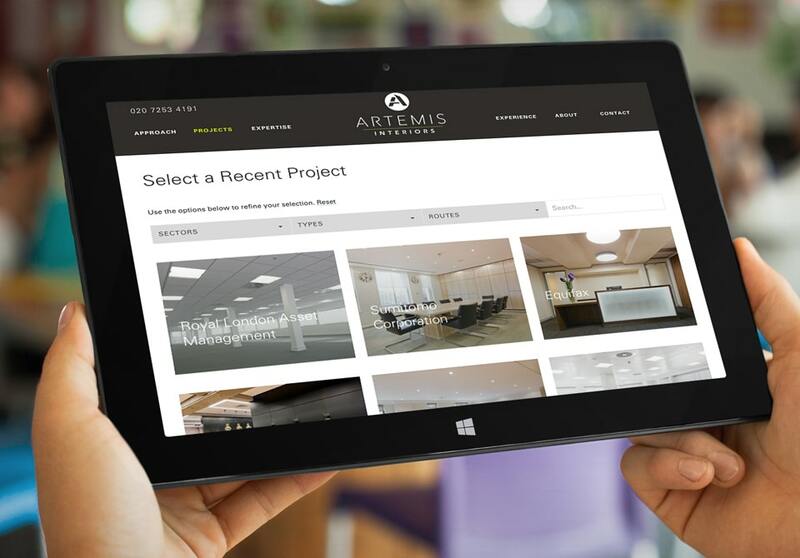 The lightbox feature in the projects section is one of the biggest improvements on the site, with functionality that allows the client to add content easily and quickly. 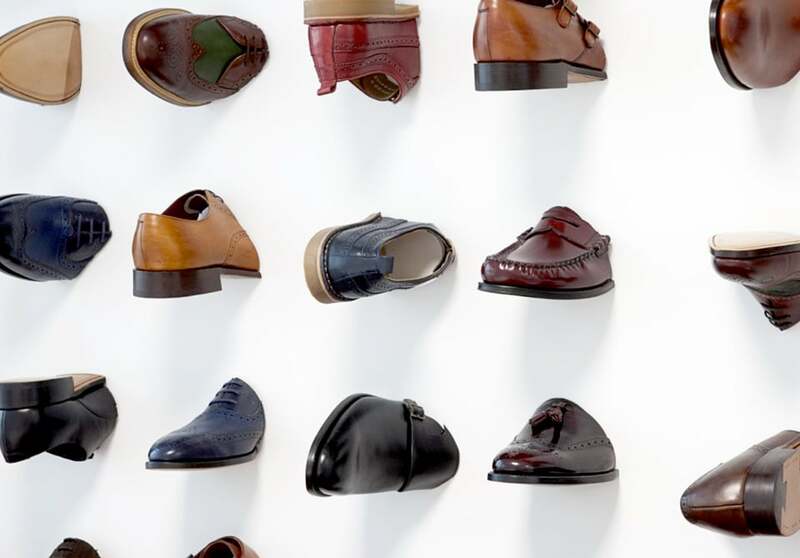 The system automatically resizes images and the parallax scrolling creates a visual slideshow. Lead Forensics was incorporated to track companies visiting the site. When compared with the same period last year, the bounce rate decreased 26.29%, users rose by 58% and time on the site increased 102%. 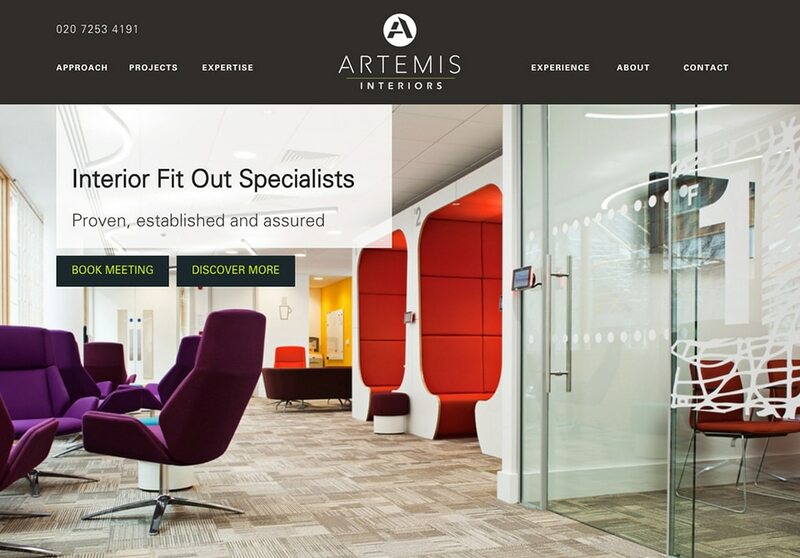 The Artemis website is a fully mobile-ready website built using WordPress, optimised at different break points for different screen sizes and with reduced load-time. 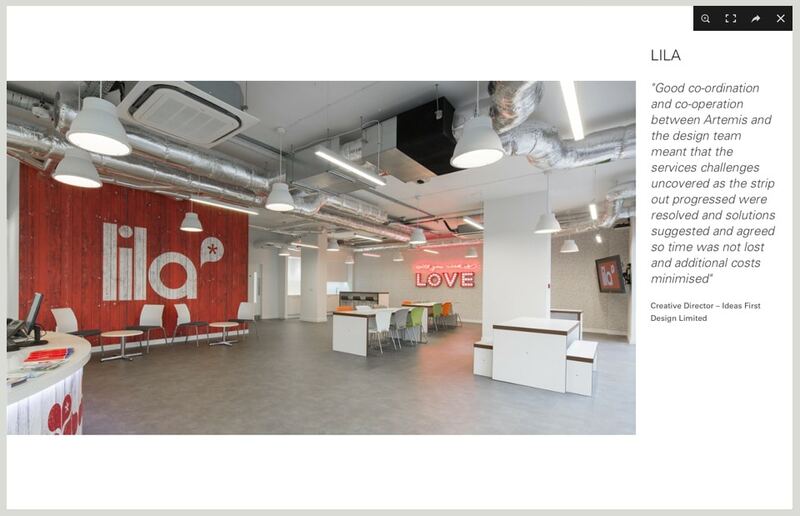 If you would like to find out more about how Preface Studios could help boost your website results, please get in touch.